Hey, don’t worry. Everything is going to be ok. 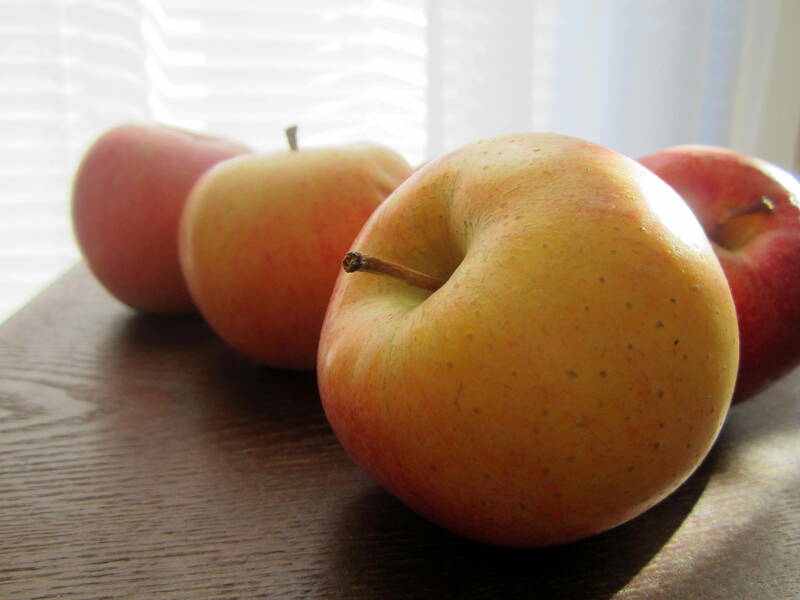 I know it’s going to be ok because I have apples. 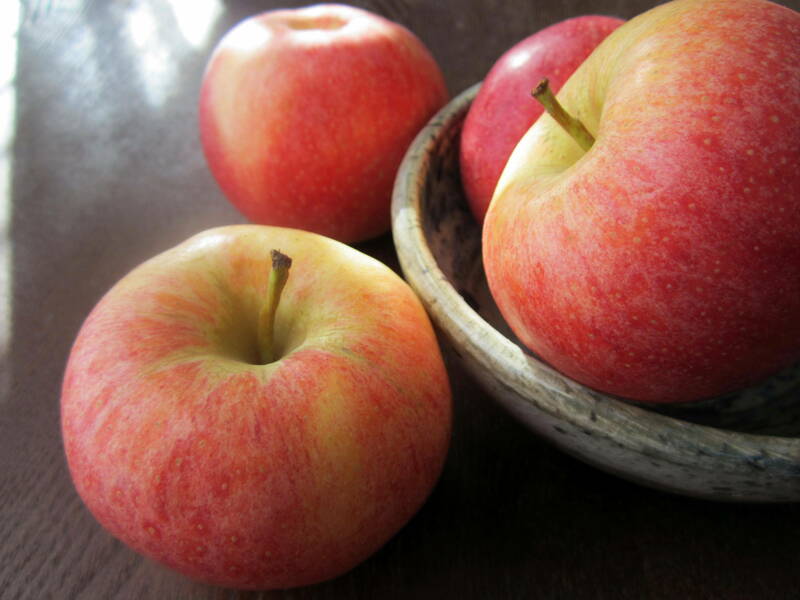 I have lots and lots of apples. Here’s some advice from me to you: when life throws everything in its arsenal directly at your face…make something yeasty. The bad gets good and the good gets better! Today, I suggest soft, lightly spiced, yeasty dough. You know…the kind that takes a really long time to rise. You’re gonna have to knead it, and pat it, and roll it, and read it a story, and bring it one more glass of water, and tuck it in and roll it again. This is certainly not an every day project. It takes some loving…and I love it. All that rising and kneading and rolling gives you lots of time to think. It’s a zen thing, man. We’re totally meditating. We’re figuring out life and what to do with it. All of this and more made possible by butter and sugar…as usual. …and the cinnasug means even more business. Oh, did I mention? 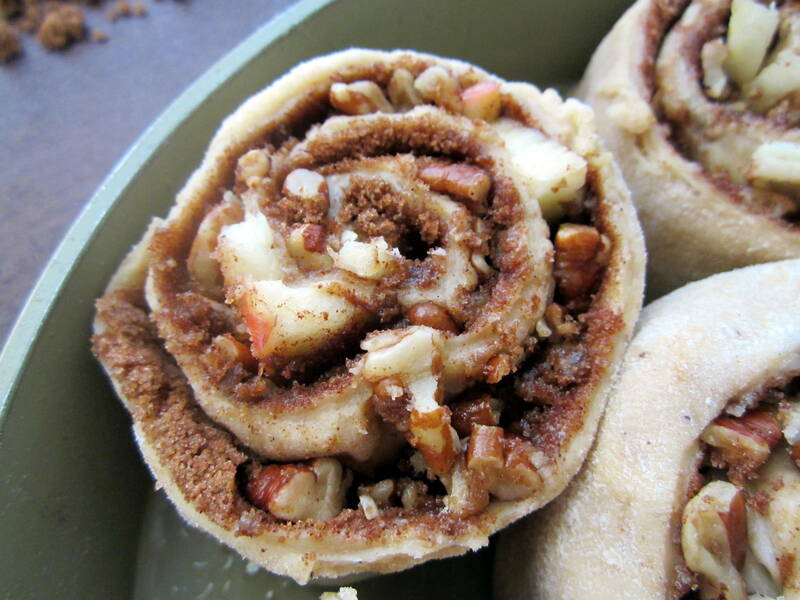 I put apples and pecans in my cinnamon rolls. 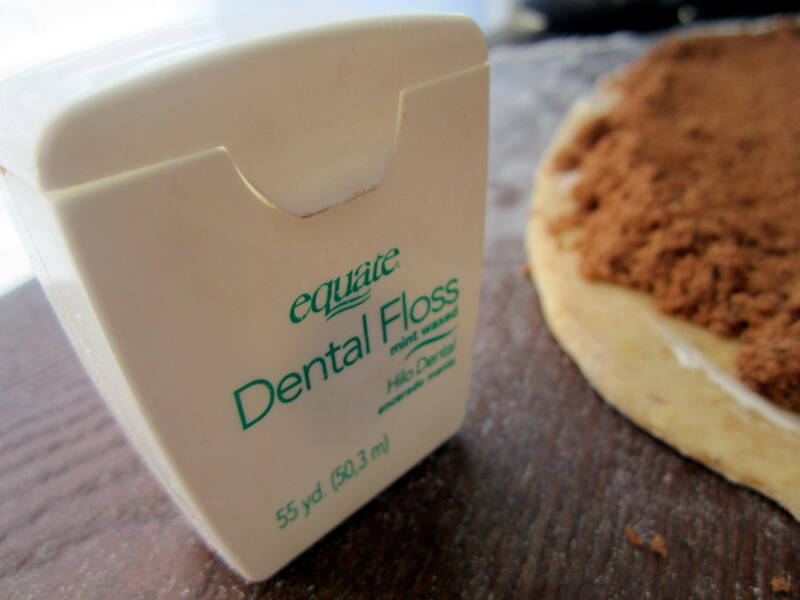 Let’s talk about dental floss for a second. 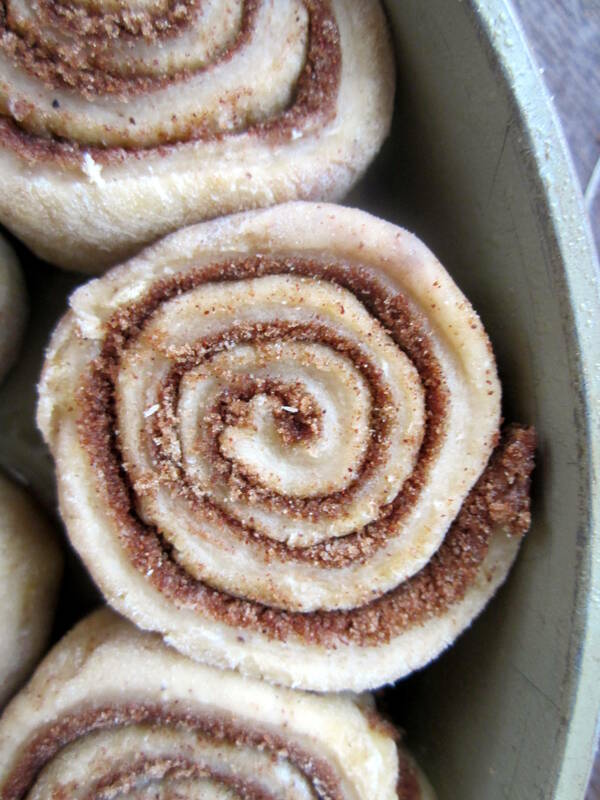 Scootch the floss under the log until it gets to your desired cinnamon roll size, cross the two ends at the top and pull them apart until the floss cuts all the way through the roll. 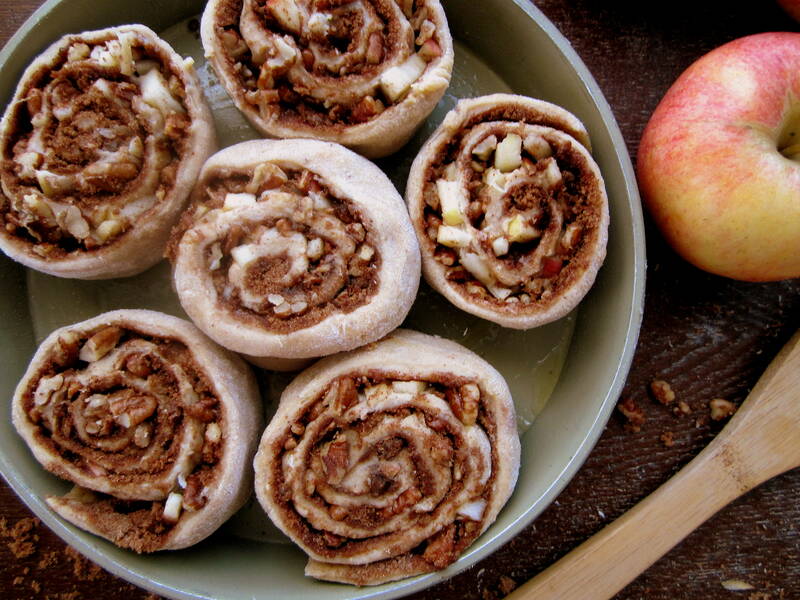 Yes, this works even with pecans and apples in the way. 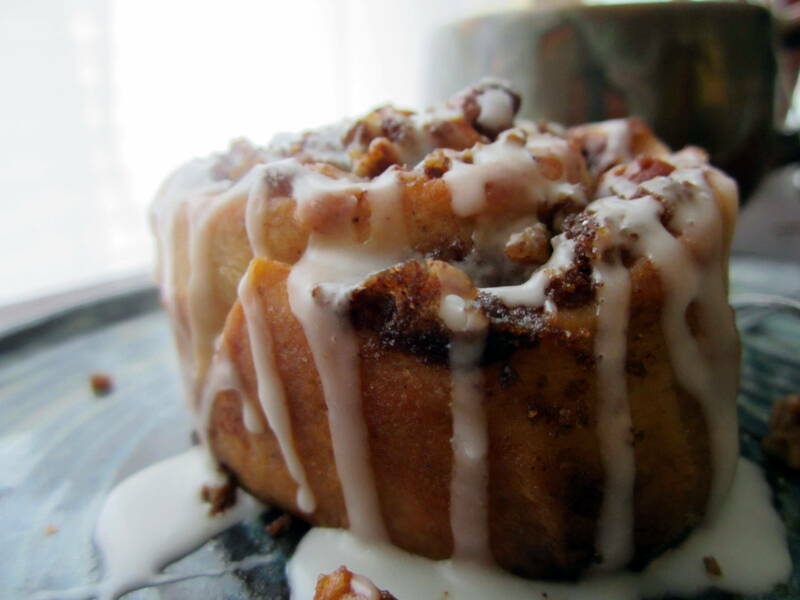 You’re left with perfectly round and swirly buns. No prob, Bob. 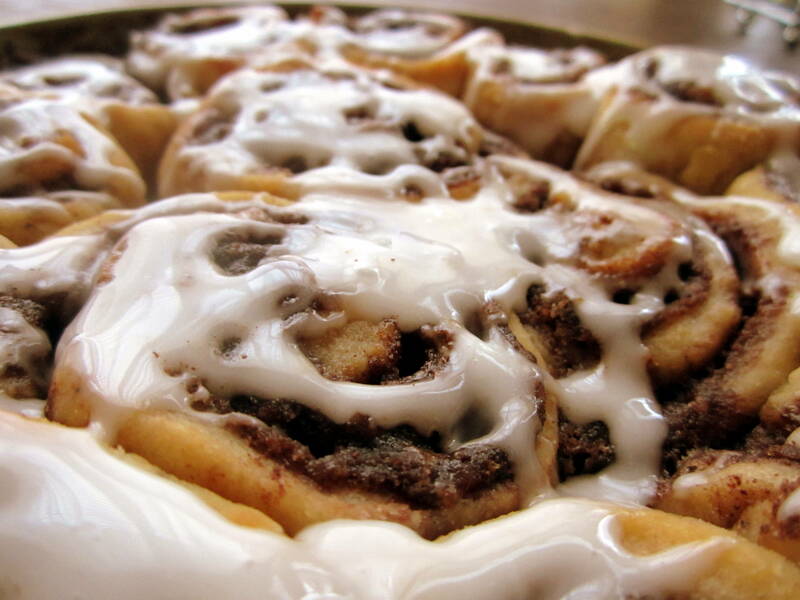 Half of my dough became minis – straight up, no gimmicks. Baby cinnamon rolls of pure cinnasug delight. The other half took a hard left toward fall and fat pants and there’s no turning back. 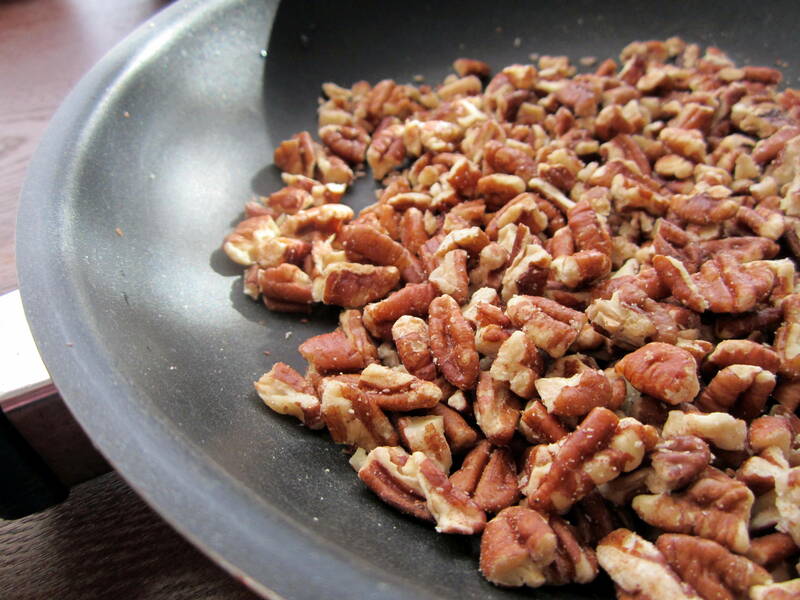 Look: toasted pecans sauteed with butter and brown sugar until they could be candy in their own right. The glaze is simple. It’s just powdered sugar and milk, but really, that’s all you need. Have you ever seen such magnificence? Your work is just beginning! Go! Eat! Be merry! 1. Heat milk slowly over low heat until it reaches 105-110 degrees F or until bubbles juuusssttt barely start to form along the edges. Do not let your milk come to full boil. 2. Dissolve the yeast in the warm milk in a large bowl until it starts to foam. 3. Add the sugar, melted butter and eggs. In a small bowl, mix the flour, salt and spices before adding the flour mixture to the milk mixture. 4. 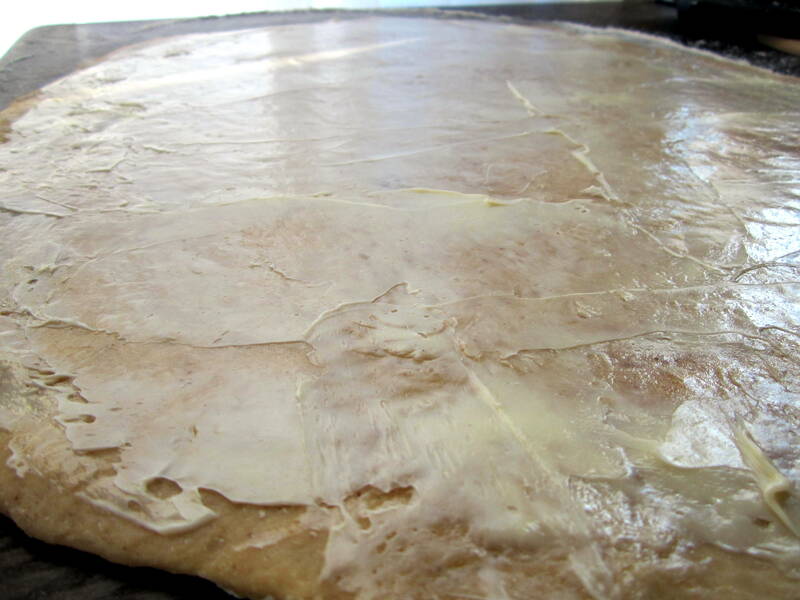 Turn the dough out onto a lightly floured surface. Knead with lightly floured hands until it forms a large, smooth ball. Place in a bowl, cover and let rise in a warm place for about one hour or until doubled in size. 5.While the dough rises, saute the pecans with the butter and sugar over low heat until everything is dissolved and the whole situation smells toasty. The SECOND you smell even a hint of burning get it off the heat. Set aside. 6. 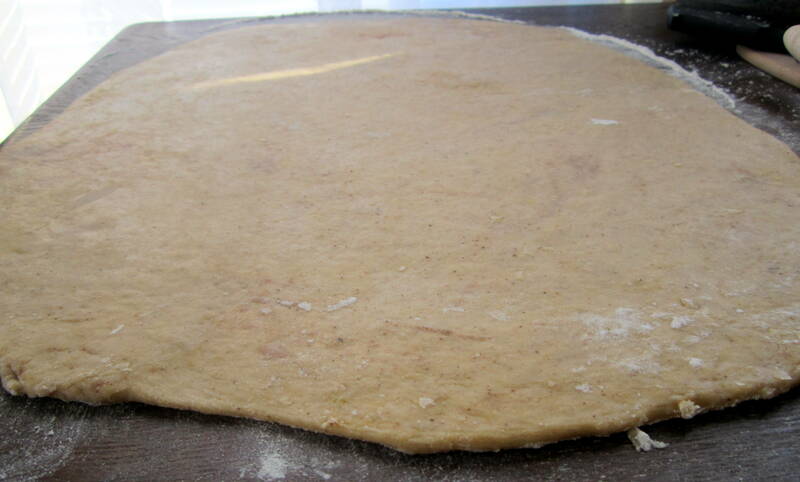 On a lightly floured surface, roll the dough into a rectangle(ish shape) that is 1/4 inch thick. The recipe says the final rectangle should measure 21 inches long and 16 inches wide. I didn’t measure. Everything worked out just fine. 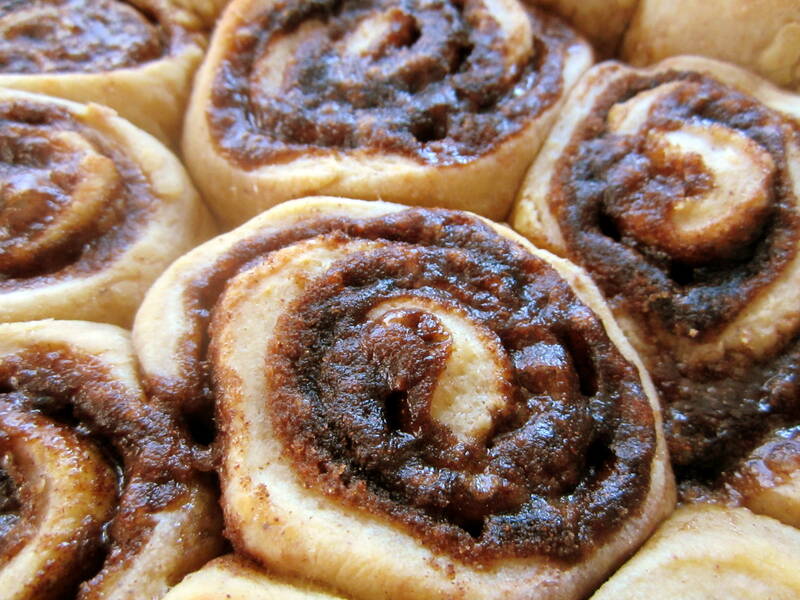 Just roll your dough until it’s flat and not so thick you can’t roll it into a cinnamon bun shape. If your dough is too sticky to work with, sprinkle LIGHTLY with flour. 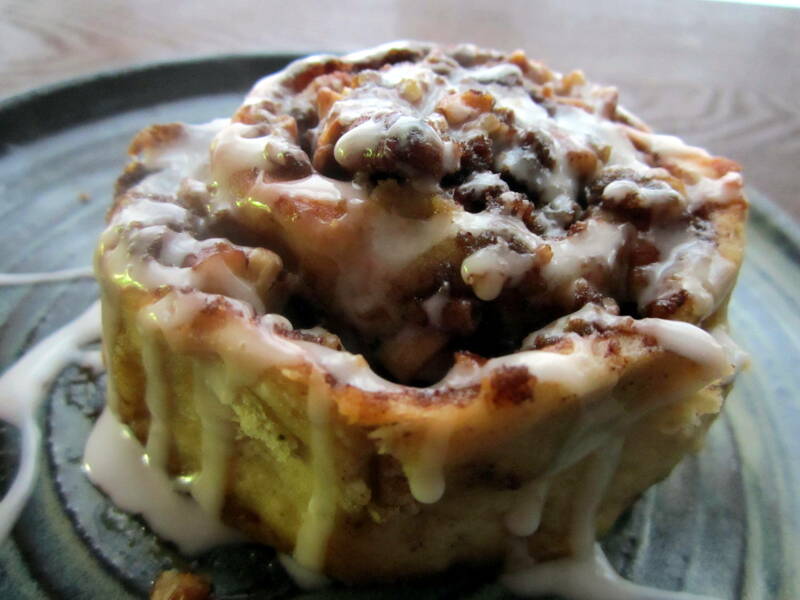 Don’t go too crazy with the flour or the buns will be tough. 7. 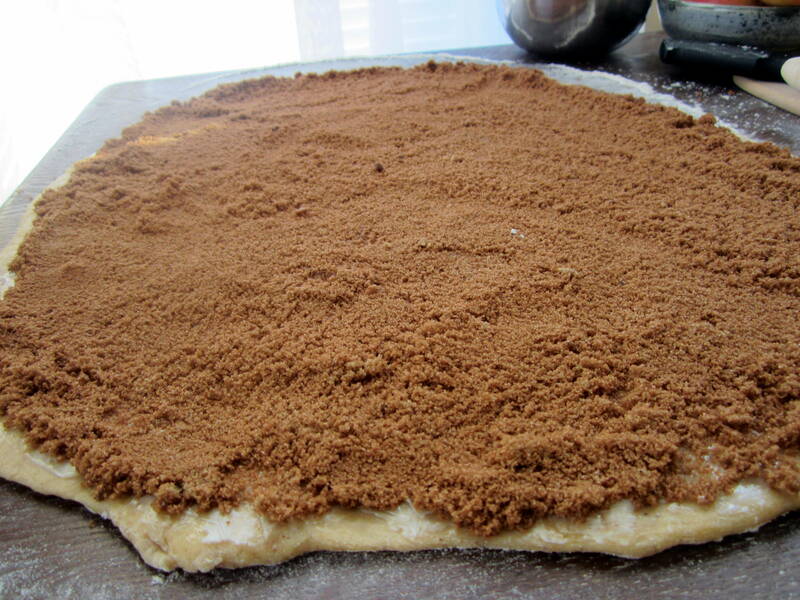 Preheat the oven to 400 degrees F and mix the brown sugar and cinnamon for the filling. 8. 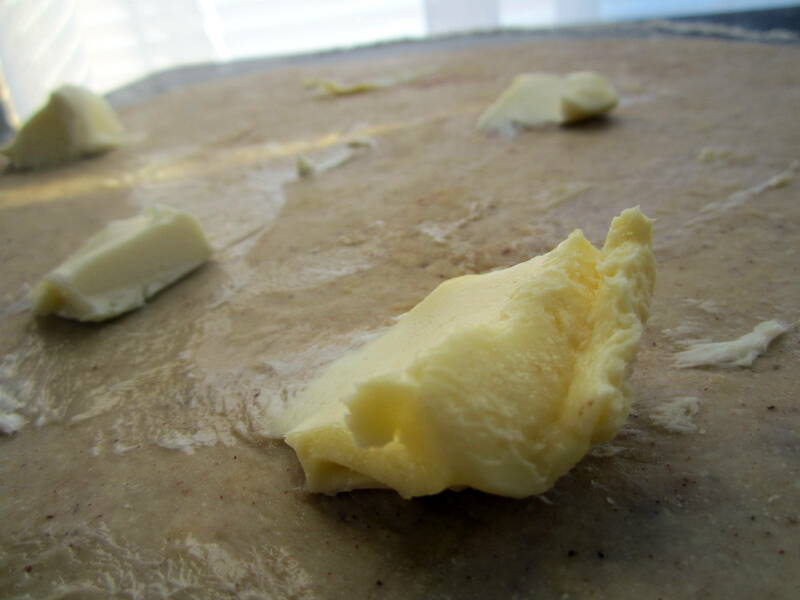 Spread 1/3 cup butter evenly over the surface of your rolled dough. 9. Sprinkle the cinnamon/sugar mixture evenly over the butter. Make sure you get the butter and sugar all the way to the edges. 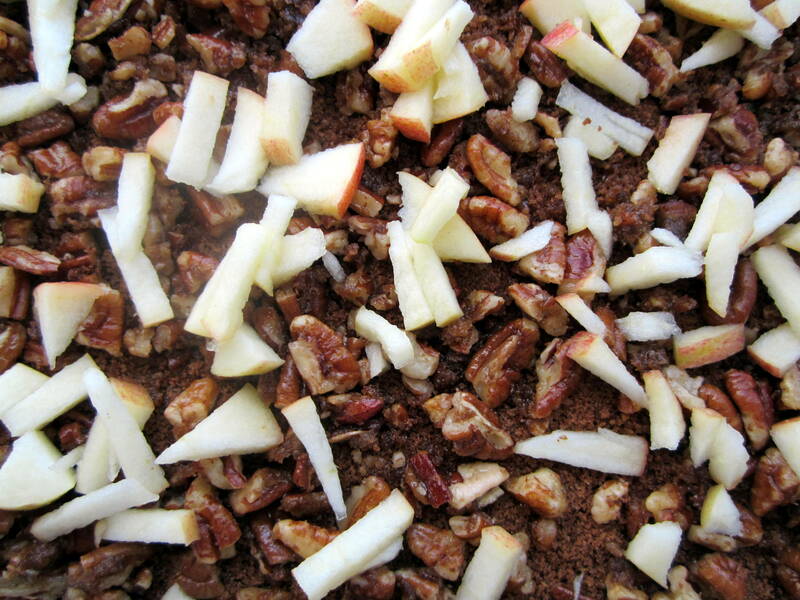 Spread the apples and pecans in a even layer over the sugar mixture. 10. Cut the dough in half (vertically, not horizontally) to make it more manageable. 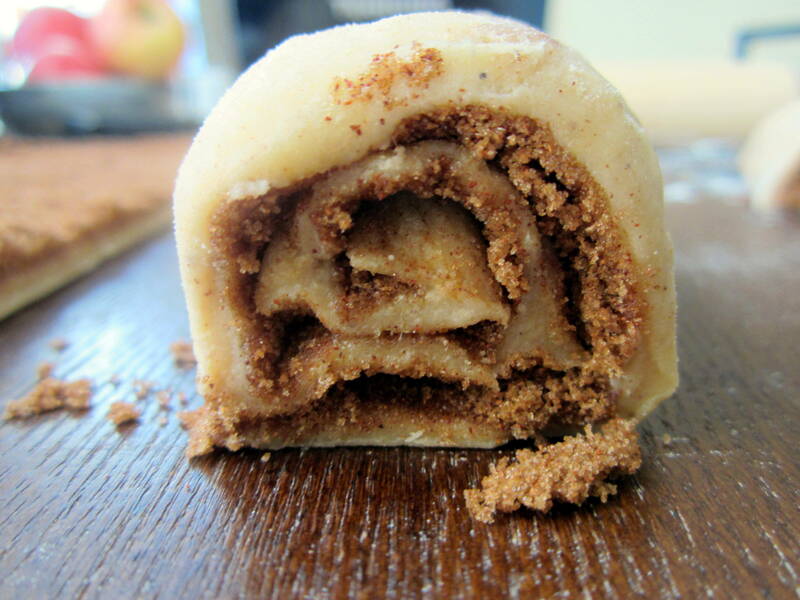 For minis, tightly roll the dough into a log like a sleeping bag starting from a long side. 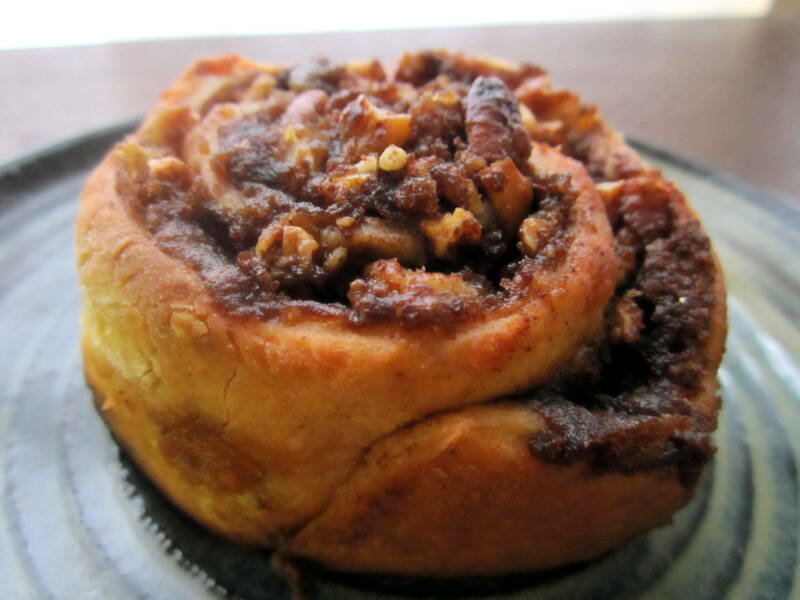 For big buns start rolling from a shorter side. 13. Starting with a cup of powdered sugar in a bowl, slowly add milk, whisking after each addition, until the glaze reaches the desired consistency. Add more milk to make it thinner and more sugar to thicken. Vanilla extract is allowed as well. That’s a ticket straight to the spam folder if I ever saw one. So…hey, inbox. Nice to see you (I hope). Ok, I know you’re thinking this is weird. It’s not weird. At all. I promise. It’s good. Reeeaaally good. Might as well be a peanut butter brownie. And I might as well be in heaven. And also slightly ball-shaped from eating WAYYYYY too many of these. Good thing they’re nutritious? Or something? P.S. 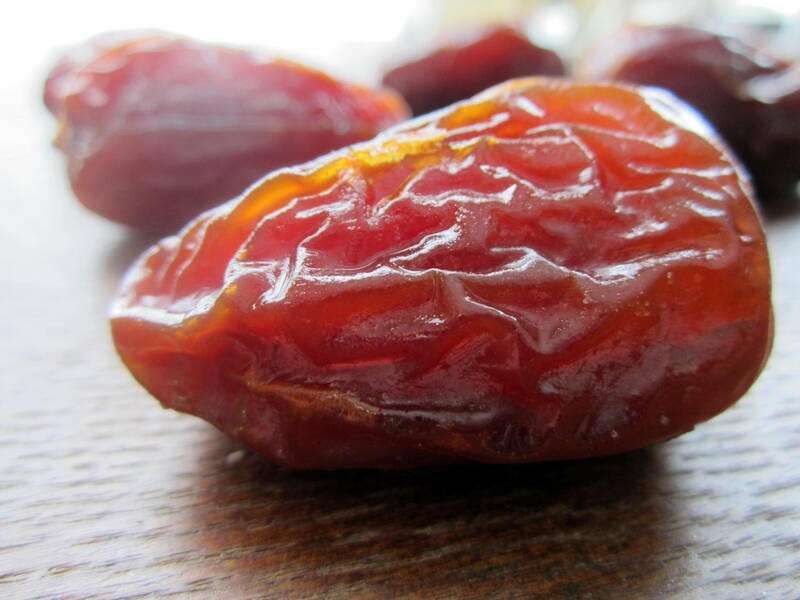 Don’t be afraid of the dates! They just add sweetness and let the whole mess stick together. 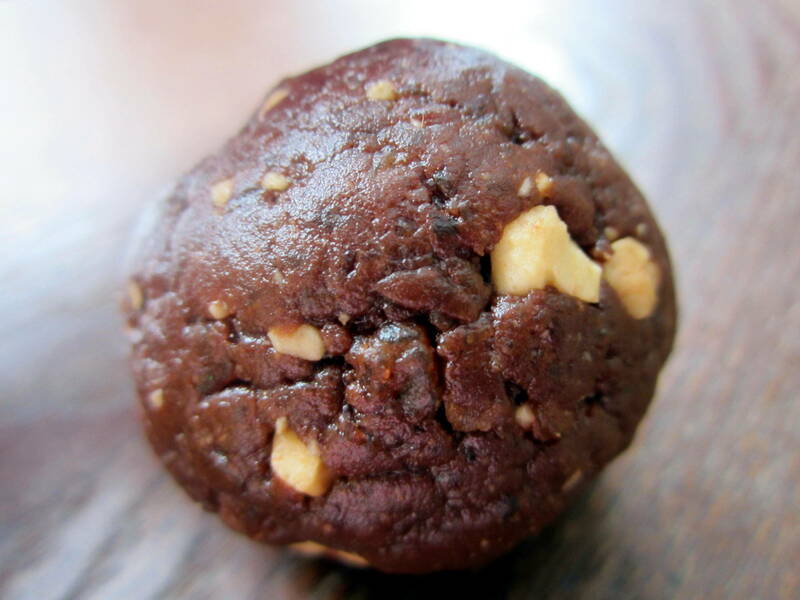 They seriously taste like a super fudgy peanut butter brownie. Delicious. 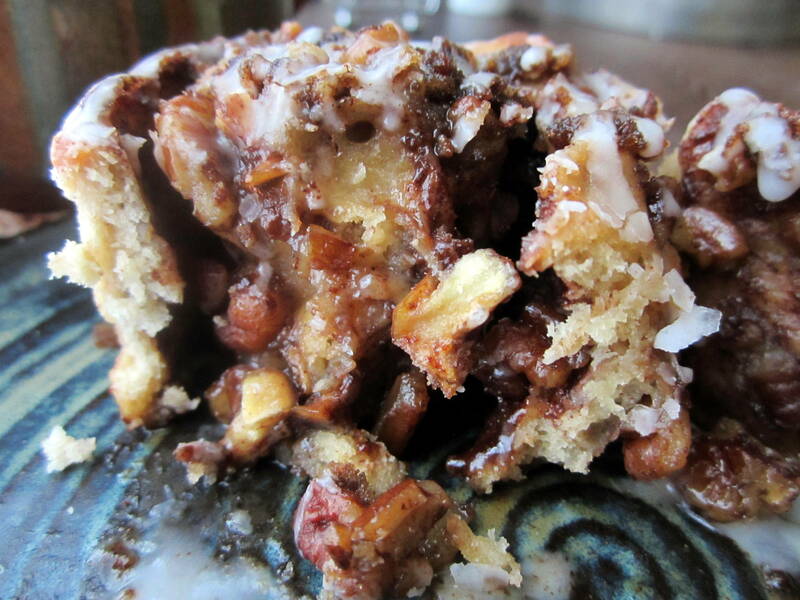 Recipe inspired by basically every blog out there…but the “recipe” is all my own. 1. Place the pitted dates in a food processor fitted with the blade attachment. Pulse until the dates have been reduced to roughly pea sized pieces. 2. 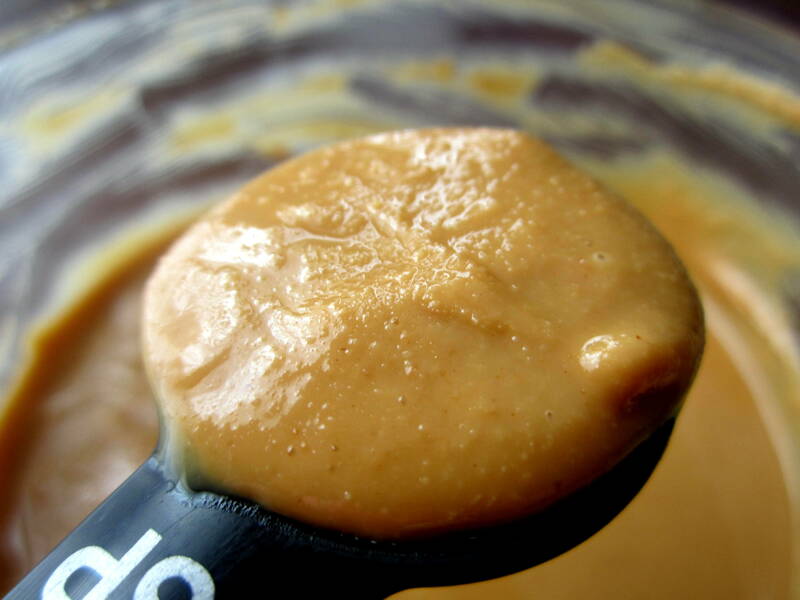 Add cocoa powder and peanut butter. Pulse until combined. 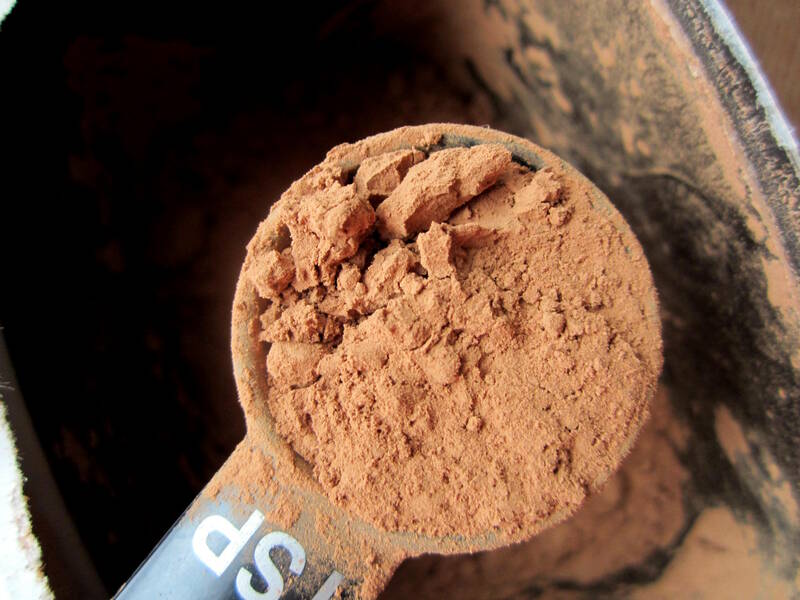 ((If you want to add the peanuts throw them in at the very end and pulse just once or twice)) The mixture will look crumbly but it is ready when you can press it into ball shapes that hold together. 3. Press the mixture into whatever size ball you want. 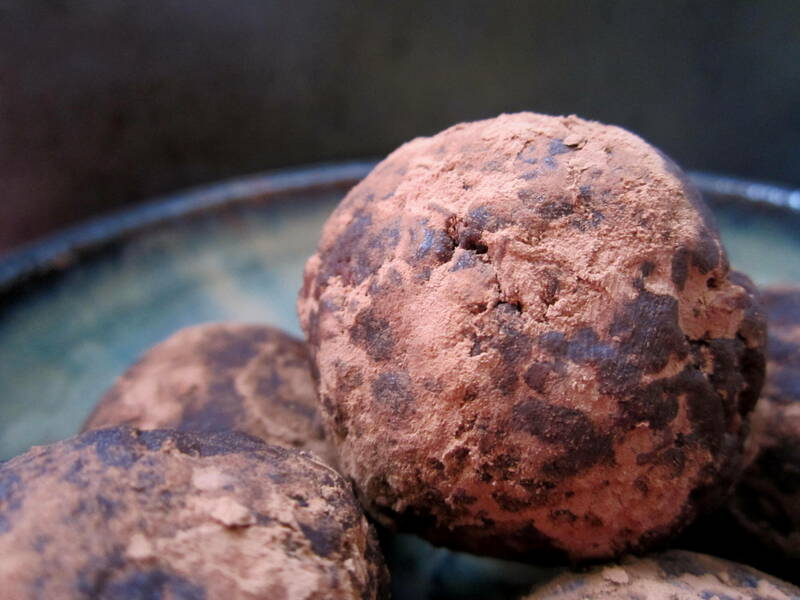 This recipe made eight 1-inch balls. 4. 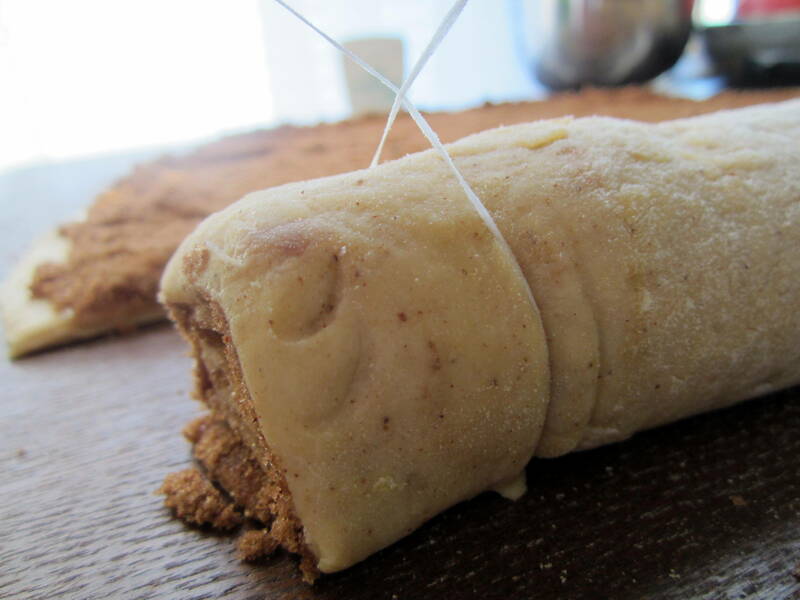 Roll in cocoa powder (or topping of your choice…crushed peanuts?) to prevent sticking. 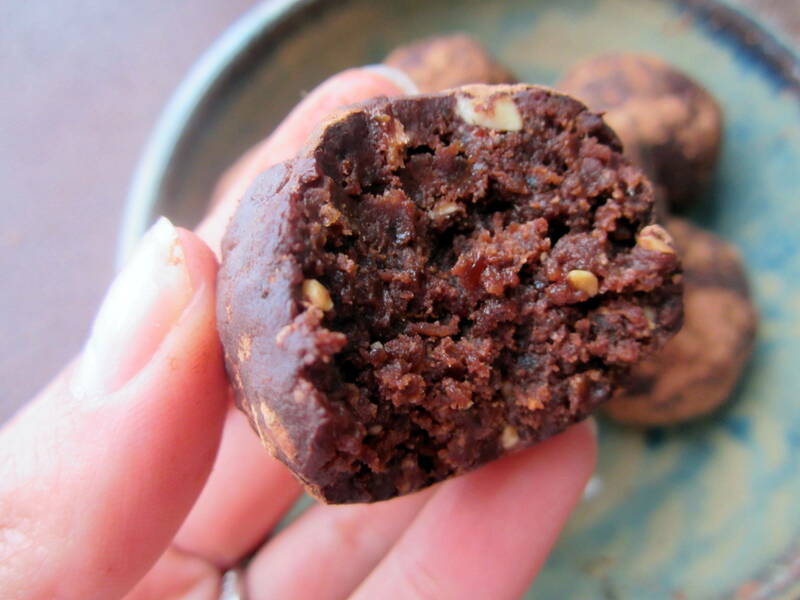 **These are delicious at room temperature but if you want to freeze them (which I recommend!) spread them out on a wax-paper lined baking sheet and freeze for about an hour. Once they are partially frozen you can throw them all in a bag or even individually wrap them. They’re an awesome grab and go snack or delicious sweet bite for dessert. Feel free to experiment with flavors!